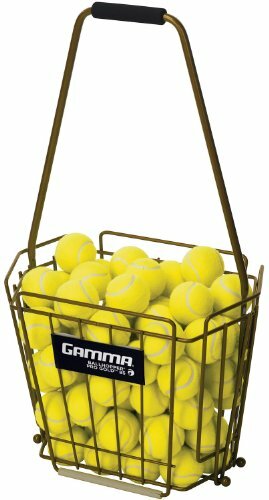 The Gamma® Ballhopper® Pro Gold™ 85 professional grade ball pick-up was designed for maximum durability and everyday use by teaching pros. Constructed of heavy gauge carbon steel wires with reinforced side welds, the sturdy hexagonal basket offers added strength and rigidity. "Floating" wires at the ball openings make ball entry smoother and easier, while the padded foam grip handle offers added comfort and adjustable height.